82 days into his job when President Franklin Roosevelt dies. 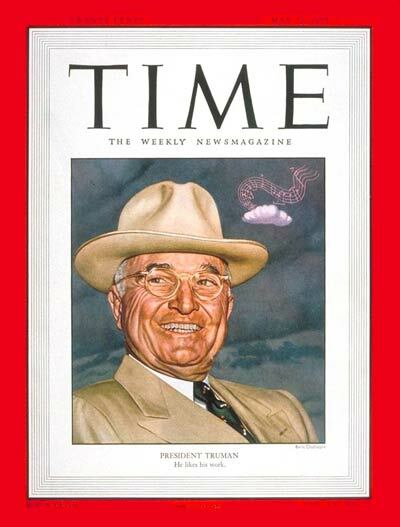 On that day, Truman was sworn in as the 33rd President of the United States. 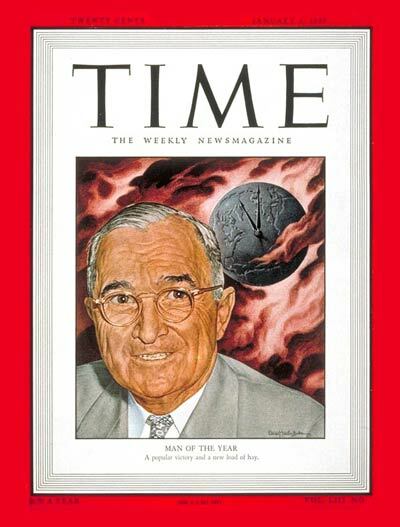 1948 Presidential Election in a stunning come-from-behind victory. 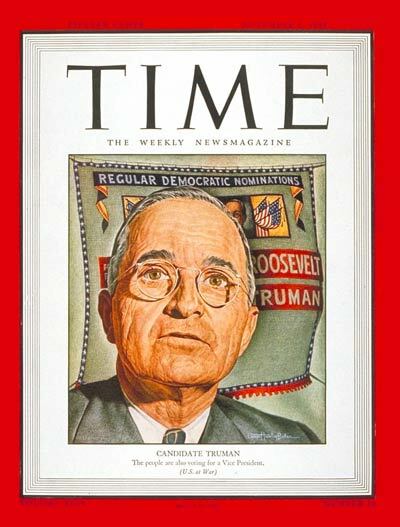 Truman is featured five years after becoming president. 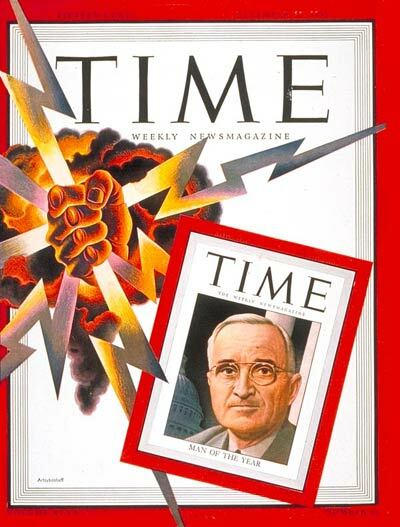 Truman is featured as the Korean War crisis continues. 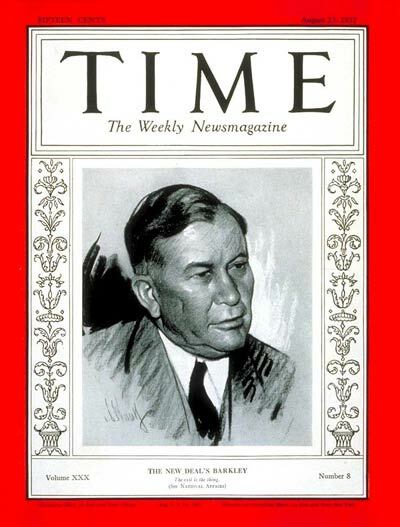 Senator Alben W. Barkley - future Vice President during Truman's second term. in the U.S. House from 1913 until 1927 when he became U.S. Senator. He served as U.S. Senator from Kentucky until he became Vice President in January 1949. 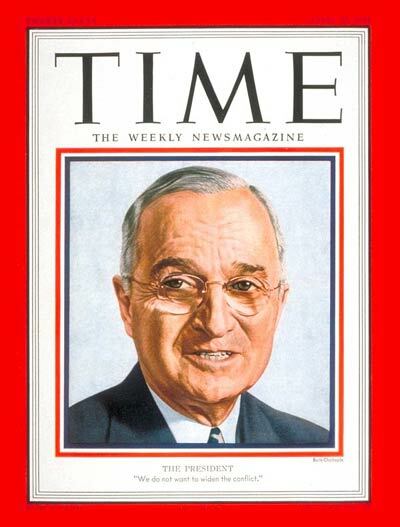 He was the Majority Leader from 1937 to 1947 and Minority Leader from 1947 to 1949. He was elected again to the Senate in 1954. 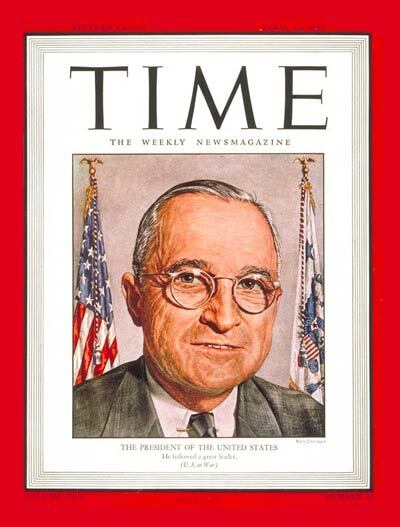 He dies in office April 30, 1956.